Step aside white wine: beer is my new favorite risotto ingredient. As much as I love beer, I’m always reluctant to cook with it. 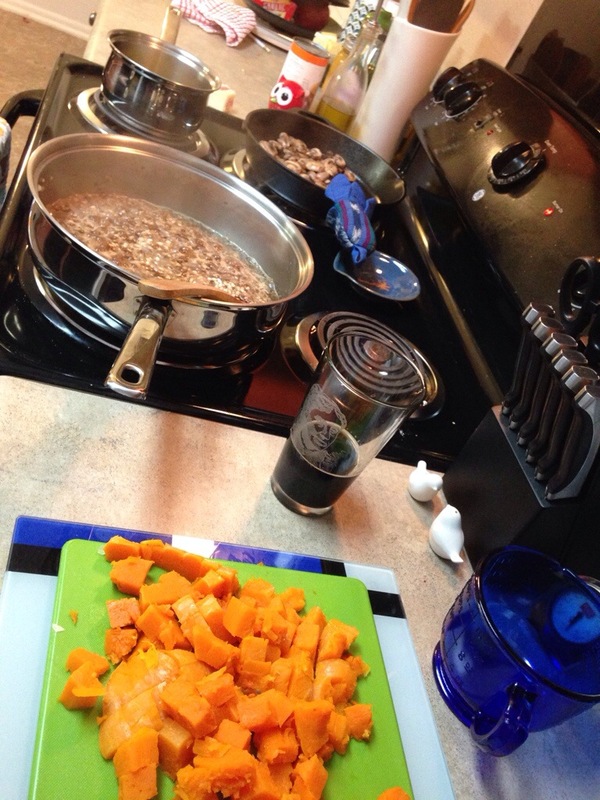 All I can think is, I could be drinking that instead of taking a chance on cooking! After purchasing a growler of Westbrook’s Udderly Milk Stout from Greenville Hop House, I knew I’d have a few ounces of beer to spare. I searched “milk stout recipes” on Pinterest, expecting cake and cookie concoctions. Instead, I found a risotto, one of my favorite things to cook. You can see many of the ingredients in action or soon to take the stage: Arborio rice, beer, onions, garlic and thyme simmer, while sautéed mushrooms, roasted butternut squash and Parmesan cheese await the final flourish. The finished product isn’t the prettiest risotto I’ve ever made, but it’s certainly one of the tastiest! I’ve baked beer bread a few times, but this is the first real cooking experience I’ve had with beer. Have you ever cooked with beer? Please share the recipe! Guess who got a little excited and drank 75% of her beer before taking a picture. The first batch of 864 Weizen graced Brewery 85’s taps this evening with all it’s wheaty glory. Let’s not beat around the bush: it’s pretty damn good. 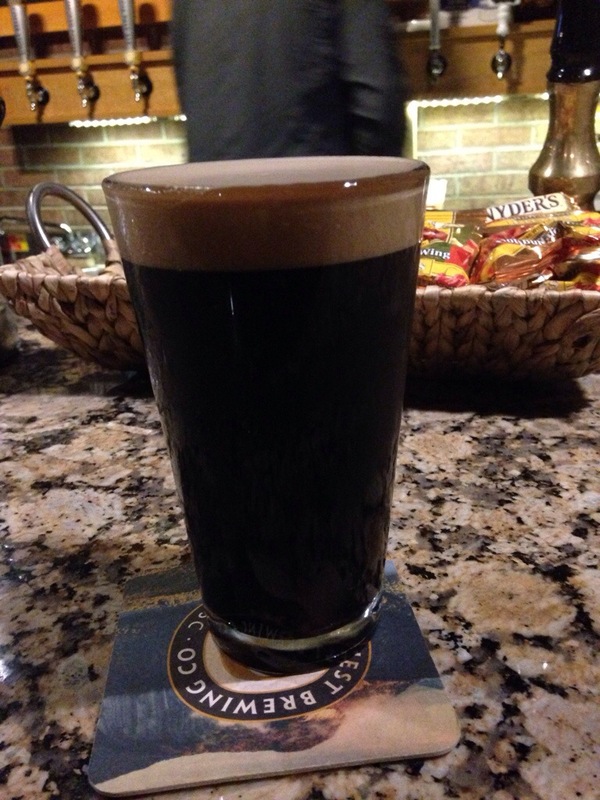 Yeoman’s Brown Ale is still my favorite, but 864 takes a very, very close second. And what’s up with the 864 name? With the help of Riverbend Malt House and SouthYeast Labs, Brewery 85 has produced a beer made entirely of locally sourced ingredients. It’s a taste of the Upstate! 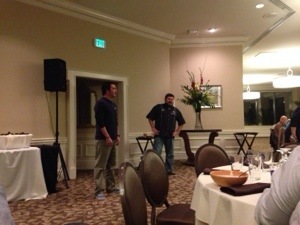 I had a great time at the bar, chatting with a variety of Proterra employees, Meredith McCameron and Jeremy. Everyone at this brewery is so friendly; don’t be afraid to pop in alone for a pint. 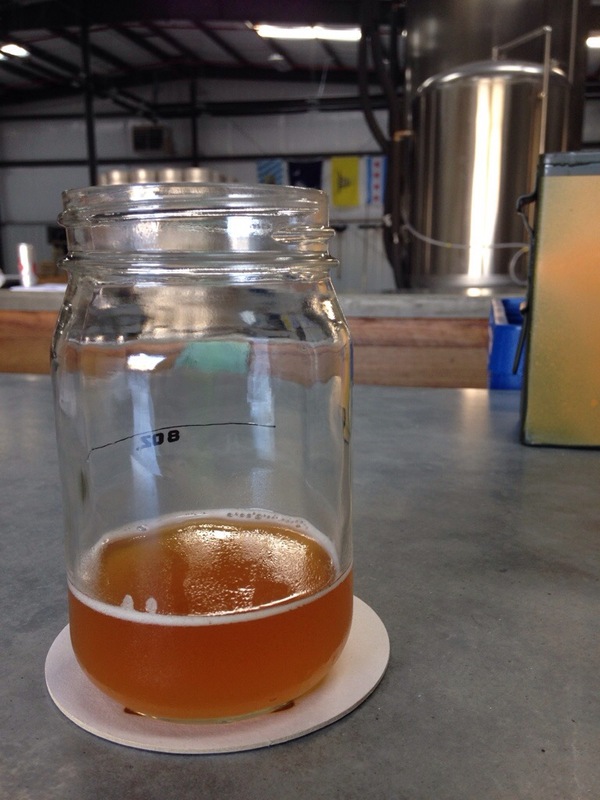 Remember that lemony, one-off beer I wrote about tasting during the tour? Turns out it’ll be available at Brewvival this weekend as Sweet Tea Sour. Don’t miss this last chance to sip a unique beer! Don’t miss another beer release from the talented Will McCameron and his new brewmaster, who starts next month. 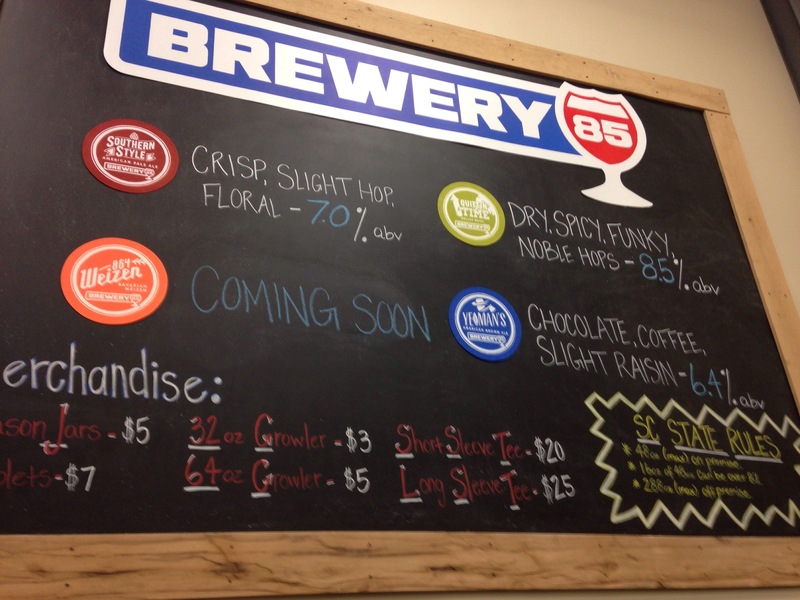 You can follow Brewery 85 on Facebook, Twitter, Instagram and Untapped. 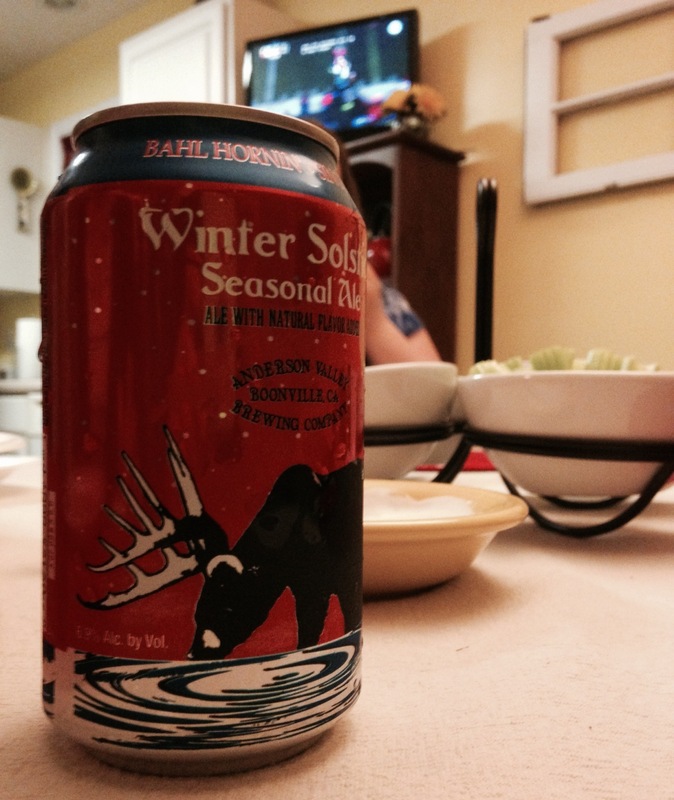 The last can of the season. I’ve had A LOT of seasonal beers this winter, and the vanilla-and-cinnamon goodness of Anderson Valley’s Winter Solstice remains my favorite. Will McCameron’s enthusiasm was palpable as the tour began Thursday night. 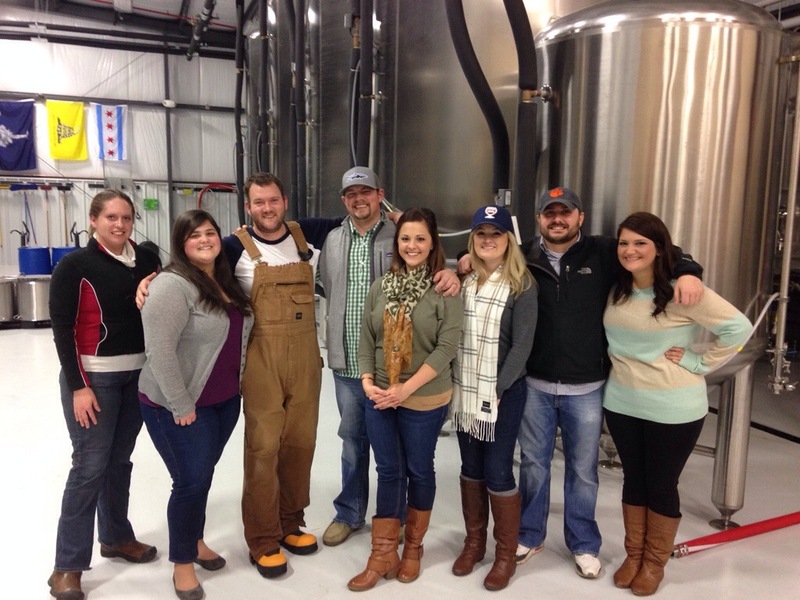 Six friends and I visited Brewery 85 to partake in the tour and tasting I won in a scavenger hunt last fall. This impressive brewery, set on a quiet cul-de-sac along an I-85 frontage road, is poised to be a major contributor to Upstate beer culture. The evening began with samples of the three options on tap: Yeoman’s Brown Ale, Southern-style Pale Ale and Quittin’ Time Helles Bock, which will all be available at the grand opening on February 1st. 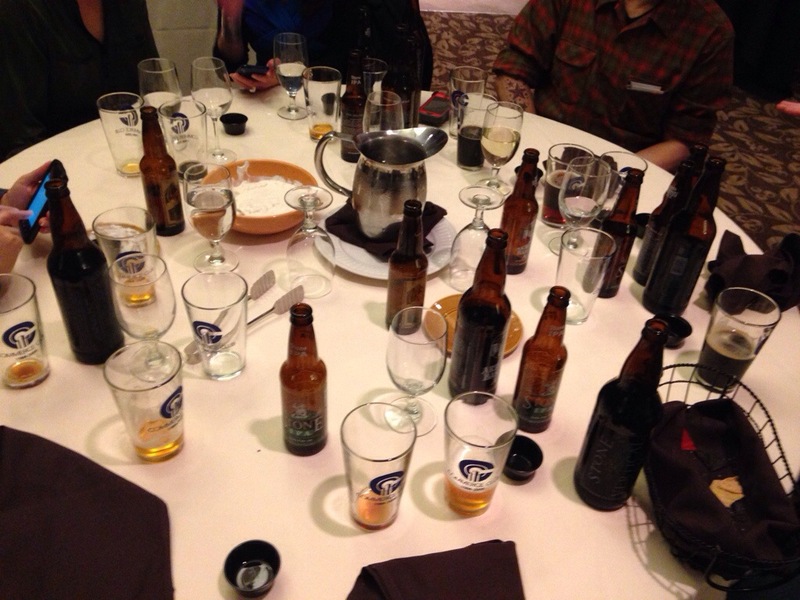 I can honestly say that every beer we had that night was stellar. Yeoman’s is definitely my favorite of the trio, and it’s nigh impossible to choose a second favorite. 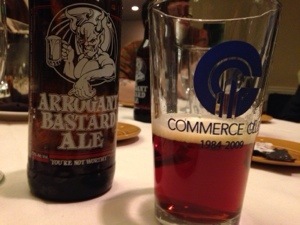 The pale ale is very drinkable, with enough bitterness to tickle the pallet without being overwhelming. On the other hand, you just can’t beat a good bock. With mason jars in hand, we walked around the bar to begin the tour. The brewery has a unique, open layout—you can see sip a beer in the tasting area and watch a new batch of beer being brewed. 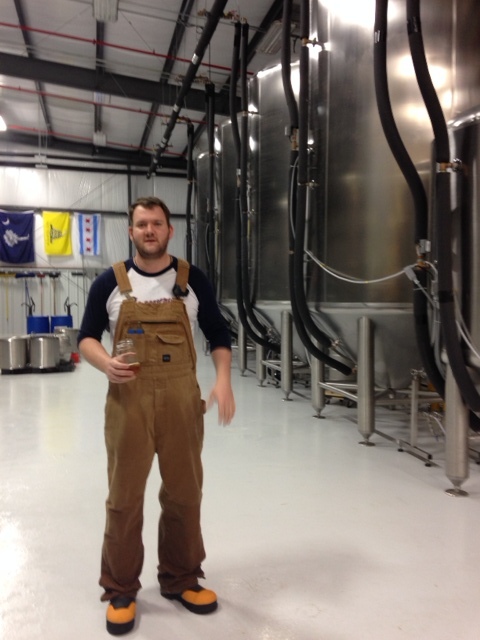 Will shared a little about himself, including his homebrewing history and experience training in Germany. We even had the pleasure of meeting his friend Brandon, who trained with him. Will gave a very enthusiastic, but realistic picture of the efforts that go into brewing; it really is a job you have to work hard for! I loved his regular geek-out moments, which gave us insight into the science behind the brewing process. Five of my friends are Clemson grads, so they were delighted to find that Will is not only a graduate, but also keeps the university at heart when planning brewery operations. His interns are Tigers, and at the end of the brewing process, he “recycles” his spent grain to a nearby Clemson alum who feeds it to his cattle. 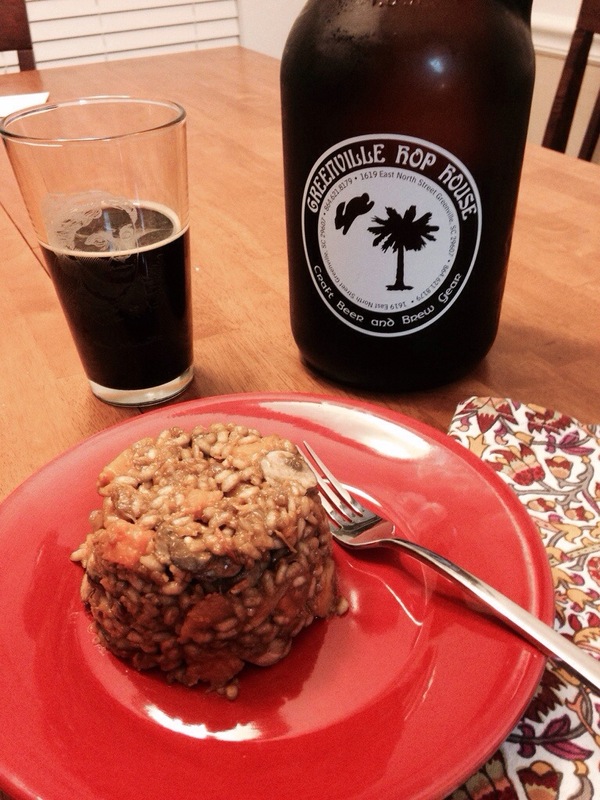 Like Ben at Swamp Rabbit Brewery, Will has his eye set on utilizing local elements in his beer and business. He’s using local yeast and has plans to grow hops and an orchard on site. After showing off the large outdoor patio, which houses fire pits and promises beautiful sunset views, Will shared some of his bigger dreams of partnerships and programs that expand brewing education in this region. 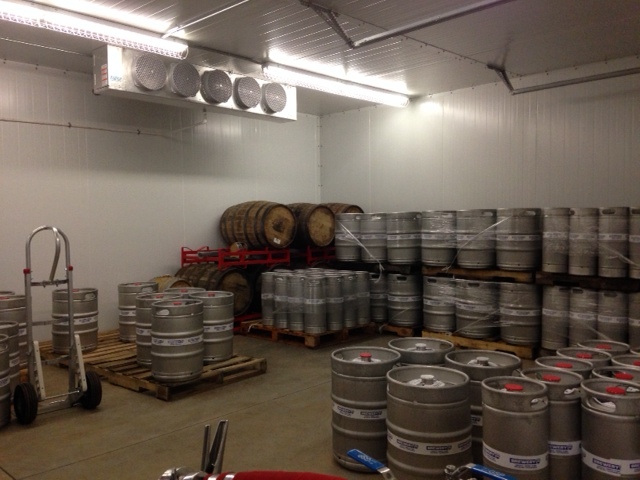 Back inside, we headed to the cooler, where a variety of kegs sat ready for Saturday. Will also pointed out a collection of barrels from Van Winkle, Heaven Hill and Knob Creek. 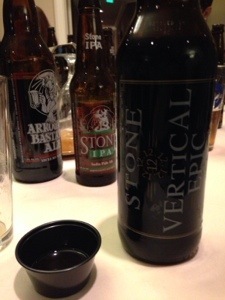 Bourbon-barrel aged brews—as if I needed another reason to love about this brewery! I may have done a tiny, happy jig at the sight of these beauties. We wrapped up the tour at the tanks again, where Will treated us to a taste of the very first beer he brewed. This golden, lemony beer, reminiscent of Shock Top’s Lemon Shandy or Leinenkugel’s Summer Shandy, was a hit; perhaps Will was convinced to try to replicate it. As far as future beers go, Brewery 85 patrons can expect to see brews like Oktoberfests and an IPA later this year. The next release will be the (864) Weizen, an exclusive beer to this area. In case beer alone isn’t entertaining enough, Will has grand plans for brewery events, including live music, game nights and food truck visits. Thank you, Will, for a fantastic tour! Opening day celebrations start at noon on Saturday, February 1st, and run until 4 p.m. The public is invited to this non-ticketed event; everyone may order up to three pints (per SC law), each at $5. Though cash is preferred, credit cards will be accepted. Pack a chair, a jacket and your good spirits for an exciting opening afternoon! And if for some absurd reason you are abducted by aliens or enlisted by the government for a secret mission in Kazakhstan and miss the opening day, you can try Brewery 85’s first beers at Mac’s Speedshop, Liberty Tap Room and Barley’s. Keep an eye on the website for brewery hours to post soon. 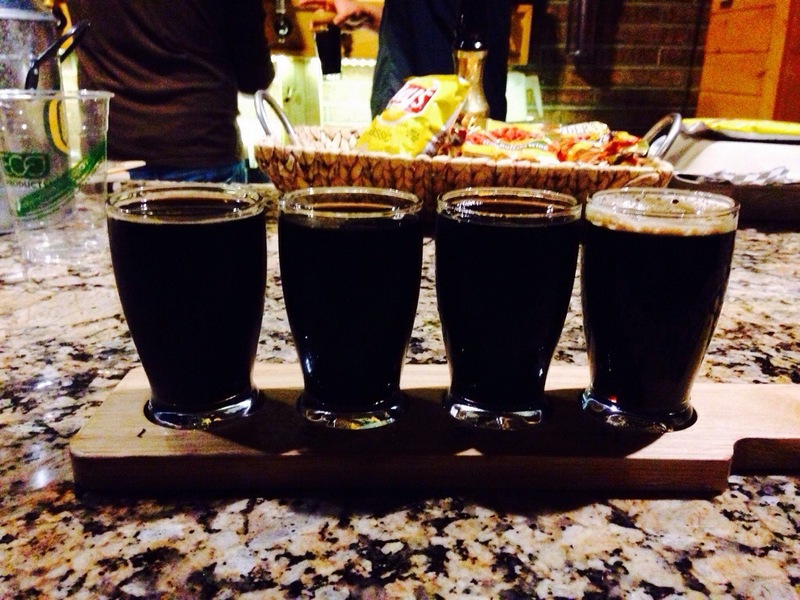 Follow Brewery 85 on Facebook, Twitter, Instagram and Untapped.